Over at Lollapalooza’s Chow Town South, the Homemade Pizza Company served up some of their fresh, all-natural pizza made with quality, all-natural ingredients. Here’s The Veggie Classic at Lolla. 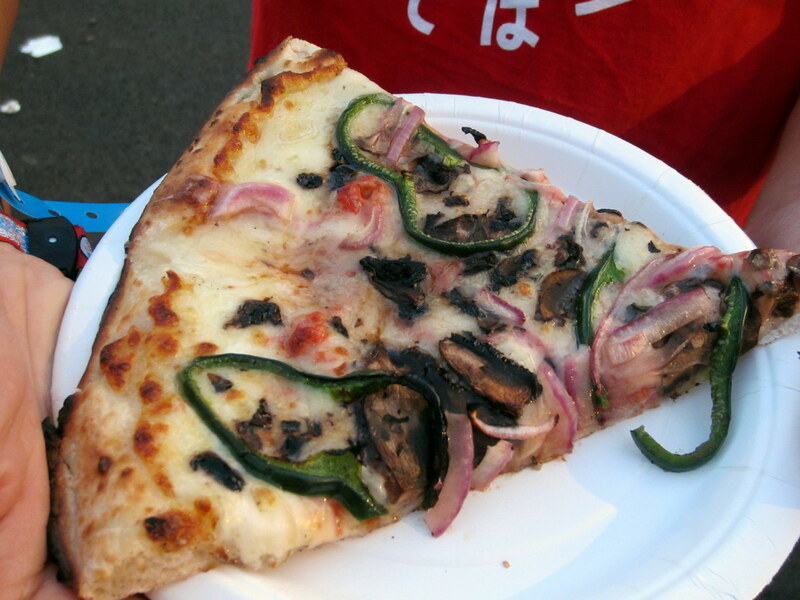 This slice is topped with mushrooms and crisp red onion with Poblano pepper and fresh-cut oregano. The Homemade Pizza Company builds and delivers ready-to-bake pizzas that can be cooked at home in 10-15 minutes. They offer a selection of classic and homemade favorites along with the option to custom build your own pizza. Currently, they have multiple locations in Illinois, D.C. and Virginia.